HULL FC boss Lee Radford admitted injuries “killed” his side during the inaugural Kenny-Sterling Shield in Wollongong today. Liam Watts and Dean Hadley dejected. The first Super League game played in the southern hemisphere was an intriguing one, for the first half at least. Hull lost three players - winger Buerta Faraimo (concussion), captain Danny Houghton (calf) and second-row Mark Minichiello (ankle)- to injuries before the break and, therefore, did well to be just 12-10 behind at half-time. However, although Minichiello returned, Radford’s team lost Liam Watts - struggling again with a hamstring problem - and they were eventually pushed aside by dominant Wigan in New South Wales. Radford conceded: “The first-half was difficult with the injuries. I thought there were some special efforts considering players had to play bigger minutes than usual. The injuries killed us ultimately. “But I thought there were some special efforts considering players had to play bigger minutes than usual. The injuries killed us ultimately. “There will be some scans on the injuries and the Dragons doctor is organising them for us. Mint (Houghton) and Wattsy were the only tears, the rest were bangs and there wasn’t anything we could have done about those ones. “We lost Bureta to concussion, Jake Connor played on miraculously with a PCL, while Houghton has a torn calf. “I would never question their effort, though, and they have shown that ability to come back over the last two seasons. 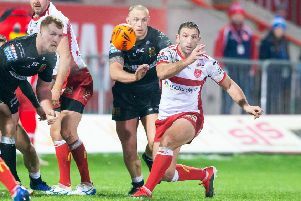 A crowd of 12,416 attended at WIN Stadium which organisers will be pleased with; it was more than any of the three Super League crowds when the sides met last year and it would be no surprise if Wigan, in particular, push for another game of this type again in 2019. It was a shame Hull did not have a full complement to try and recreate last year’s quality Challenge Cup final fare that these sides produced. Nonetheless, the locals who came along will certainly have been impressed by some of the fare, especially in an entertaining first period. Faraimo was injured with barely 90 seconds played, the former NRL winger only just able to get to his feet after a heavy hit left him severely groggy. At 10-0 down after just 12 minutes, Hull looked bedraggled at times, Wigan, understandably, raiding their newly makeshift right side. Fittingly, it was a stylish score that marked the first try scored in a Super League game outside of Europe. Liam Marshall sped down the left flank, showcasing his sheer pace, to race in from 60m after Liam Farrell initially pierced the defence. Admittedly, the youngster then spilled the restart but it did not take him long to bounce back from that error. This time, Jake Connor - filling in on the wing - was left embarrassed as Marshall eased past him on the outside after another slick switch to the left. Sam Tomkins’ hit a post with his conversion attempt. The Airlie Birds came close to being swept away at that point as Wigan - quicker and always willing to shift the ball - swarmed forward. However, Dean Hadley - who played three different positions during the course of the night - produced a crucial tackle to deny Farrell a third Wigan try and moments later Connor intercepted to relieve the pressure further. That said, they still suffered from self-inflicted wounds; Jamie Shaul and Connor failed to communicate going for the same harmless kick and fumbled it between them. 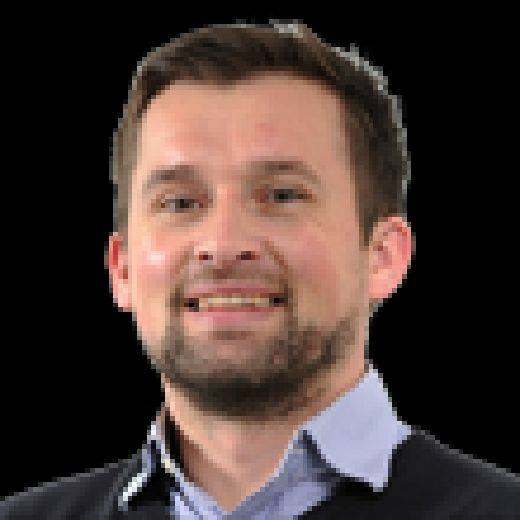 With their first real pressure in Wigan’s 20, Albert Kelly and Marc Sneyd both teased the line before Shaul ushered Talanoa over, the ex-South Sydney winger diving over for his fourth try in just two games this term. Marshall nearly got a third try but he could only knock-on trying to ground George Williams’ kick. He really should have been in for that treble in the 31st minute but Oliver Gildart ignored the simple pass and, instead, tried going himself only, to his blushes, to be wrapped up easily by Connor. Soon after, Connor also produced a remarkable tackle to deny Dan Sarginson just as the ex-England centre seemed certain to score, too. When Williams - comfortably the best player in the pitch with his attacking class - fed another long ball to Gildart, Washbrook came in to smother the centre and deny another score. Injury-ravaged Hull really should have been blown away. But they weren’t and, the way in which they scrambled during that period, gave fans belief they could actually still emerge with two points. That though only grew when Jordan Abdull touched down in the 34th minute, benefitting after Morgan Escare and Marshall got befuddled dealing with Shaul’s kick. Sneyd converted to level and, so, it was no surprise when Tomkins opted to kick a 42m penalty just before the half-time hooter. Ryan Sutton got over at the start of the second period, though, and they finished off with another try from Ben Flower in the 70th minute, Tomkins adding his third conversion. Tomkins and Griffin were both yellow carded after a bit of scuffling at the end. Wigan Warriors: S Tomkins; Davies, Sarginson, Gildart, Marshall; Williams, Powell; Clubb, Leuluai, Flower, J Tomkins, L Farrell, O’Loughlin. Substitutes: Sutton, Tautai, Isa, Escare. Hull FC: Shaul; Faraimo, Connor, Griffin, Talanoa; Kelly, Sneyd; Taylor, Houghton, Paea, Manu, Minichiello, Hadley. Substitutes: Abdull, Bowden, Watts, Washbrook. Referee: Matt Cecchin (New South Wales).